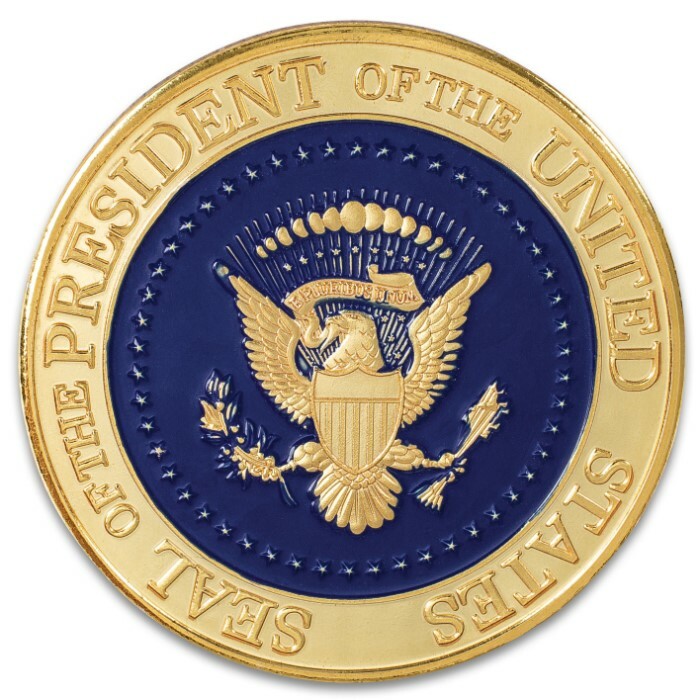 Donald Trump Full-Color Presidential Coin - Crafted Of Metal-Alloy, Gold-Plated, Collector’s Item, Intricate Colorful Detail, 40 mm - Dimensions 1 1/2" | BUDK.com - Knives & Swords At The Lowest Prices! 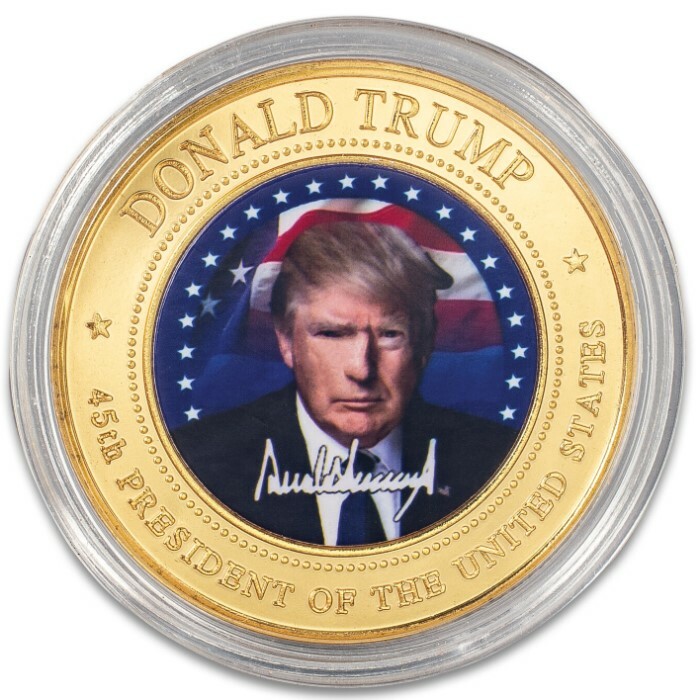 Here is your chance to add the Donald Trump Full-Color Presidential Coin to your memorabilia collection. 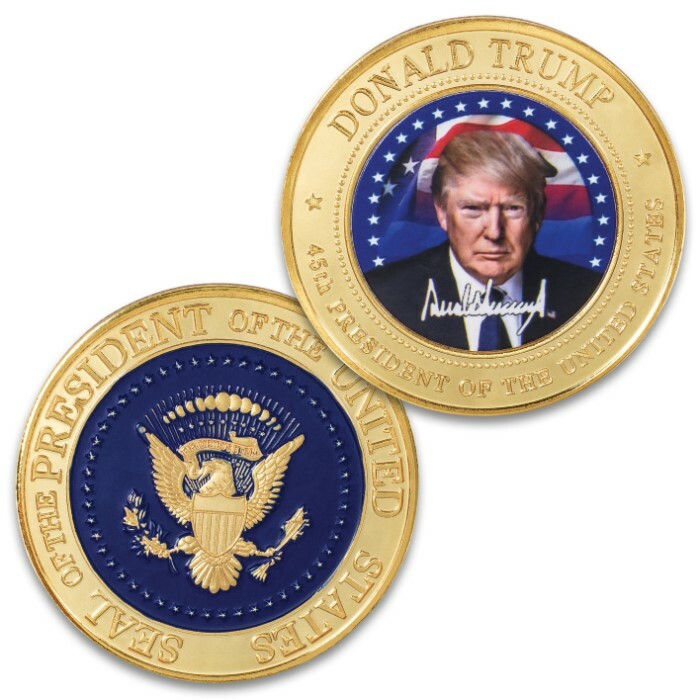 This limited edition, privately minted non-monetary coin boasts superb attention to detail with a front-facing, full-color portrait of President Trump on one side and the Presidential Seal on the other side. The 1 1/2" collectible is crafted of 40 mm metal-alloy that has been gold-plated. The coin comes in a transparent acrylic coin capsule. It’s an eye-catching conversation piece and lifetime keepsake and makes a great gift for the coin collector in your life! A very nice coin for a very nice price!